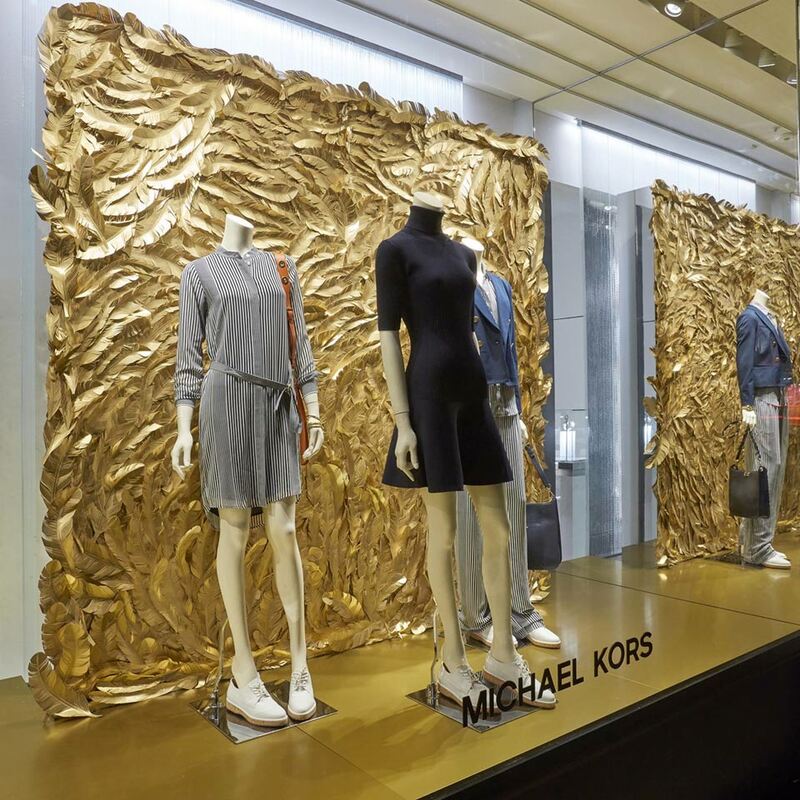 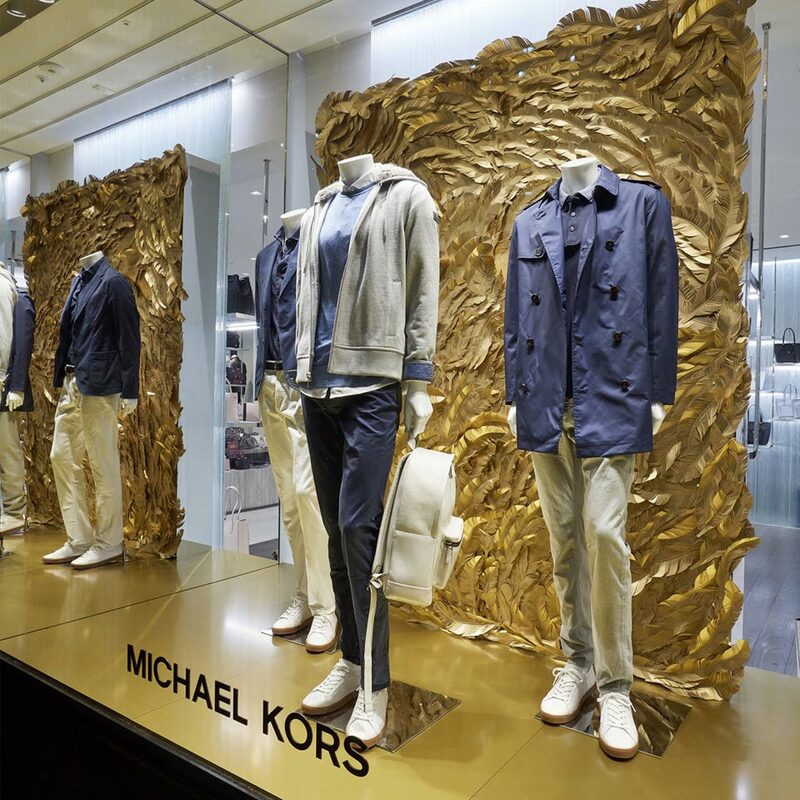 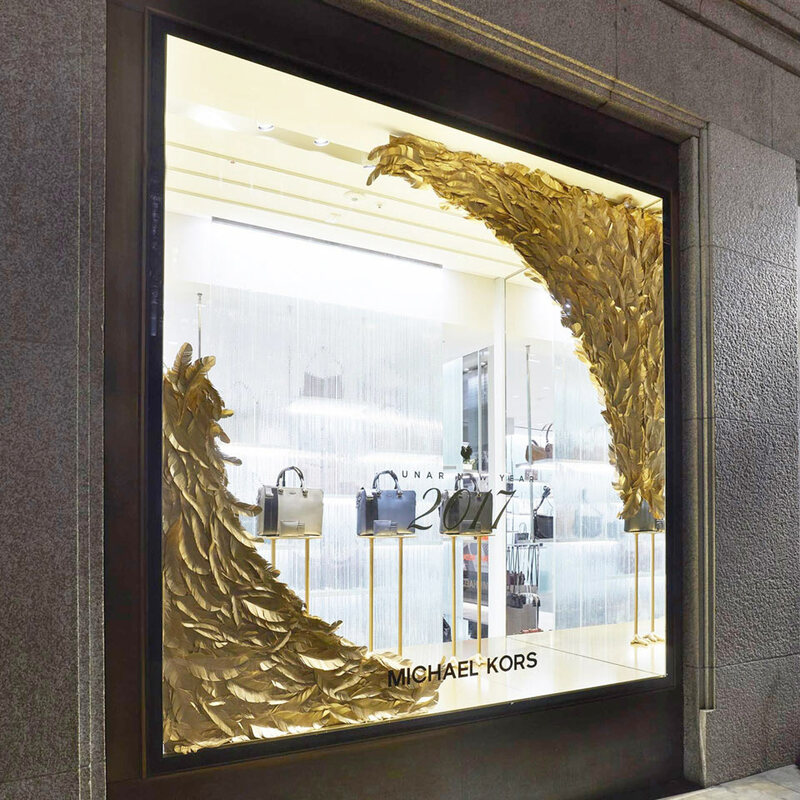 In celebration of the Lunar New Year, we developed, produced and installed a stunning concept supplied by the Michael Kors design team. 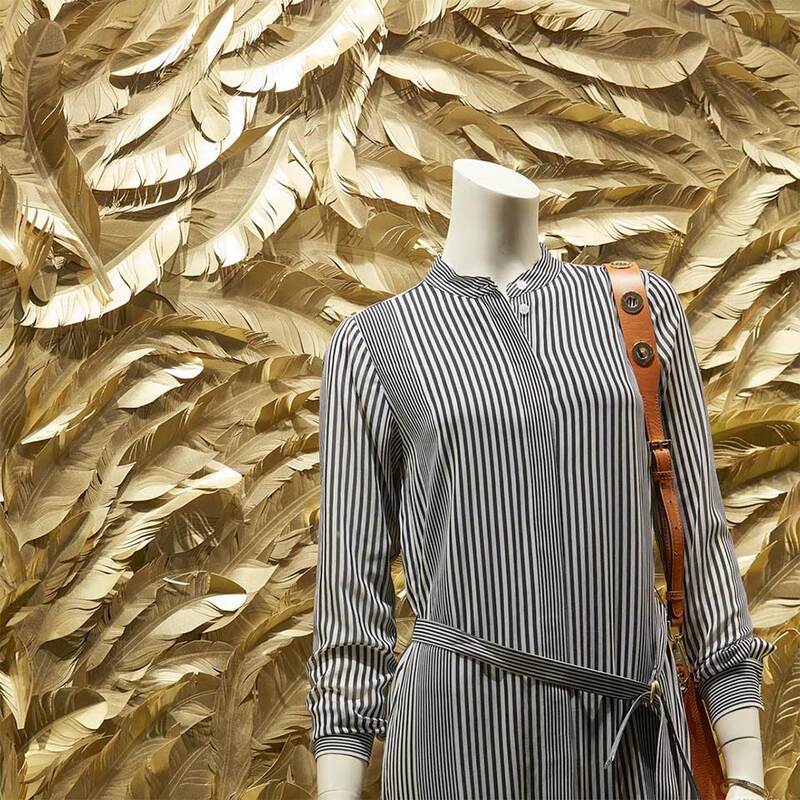 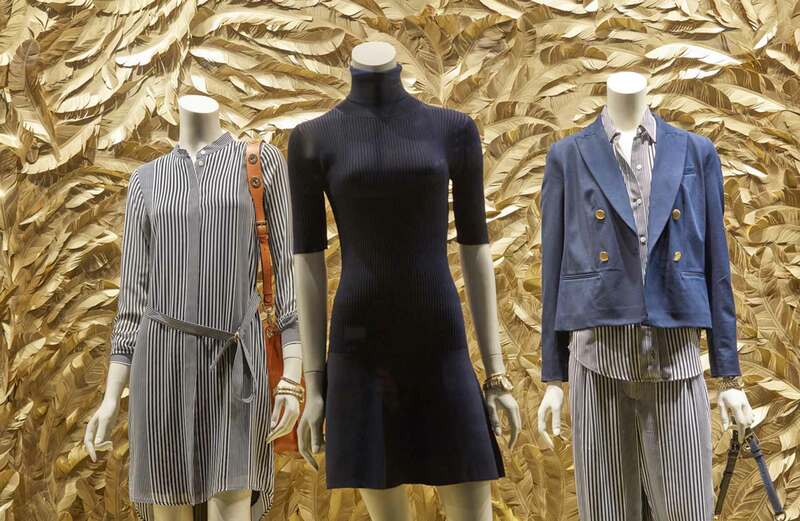 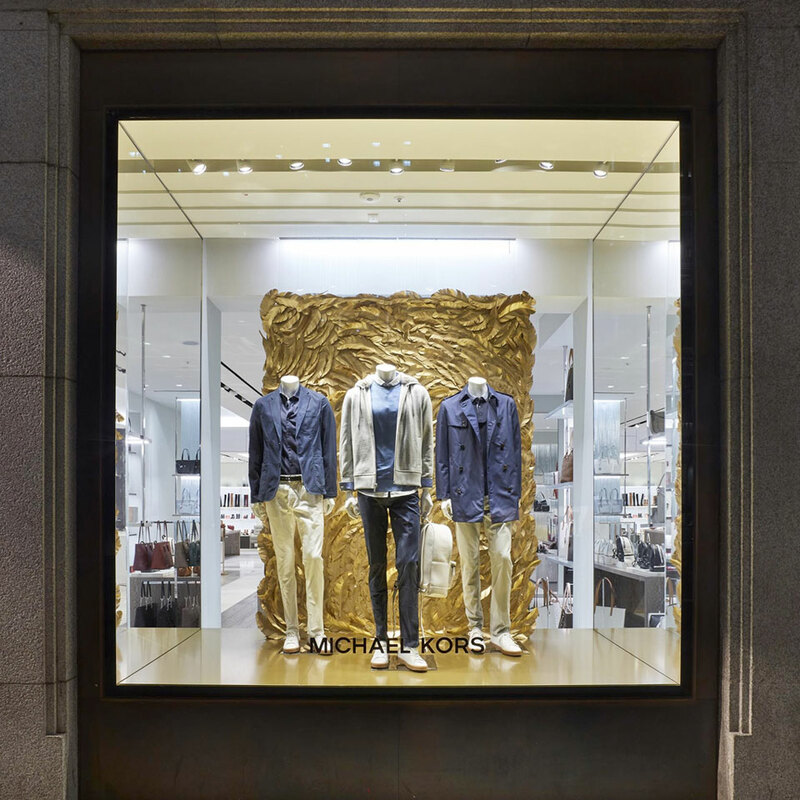 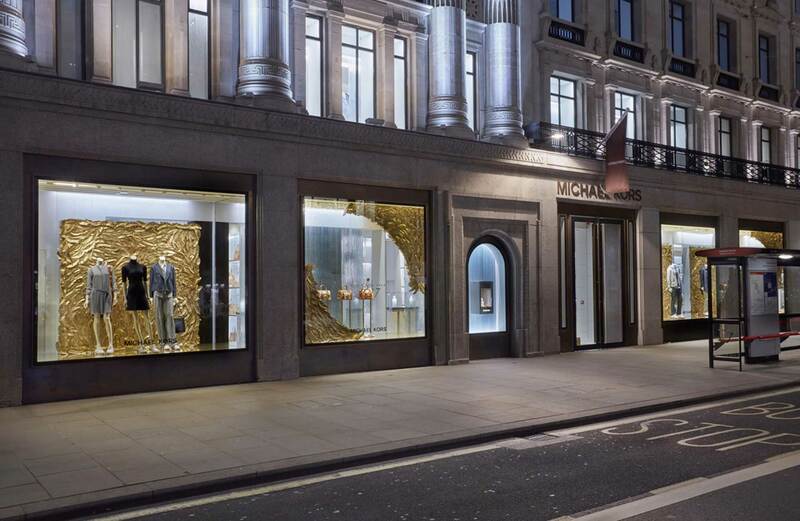 This was delivered to the Regent Street Flagship store, 11 Lifestyle stores and 20 Outlet stores throughout Europe. 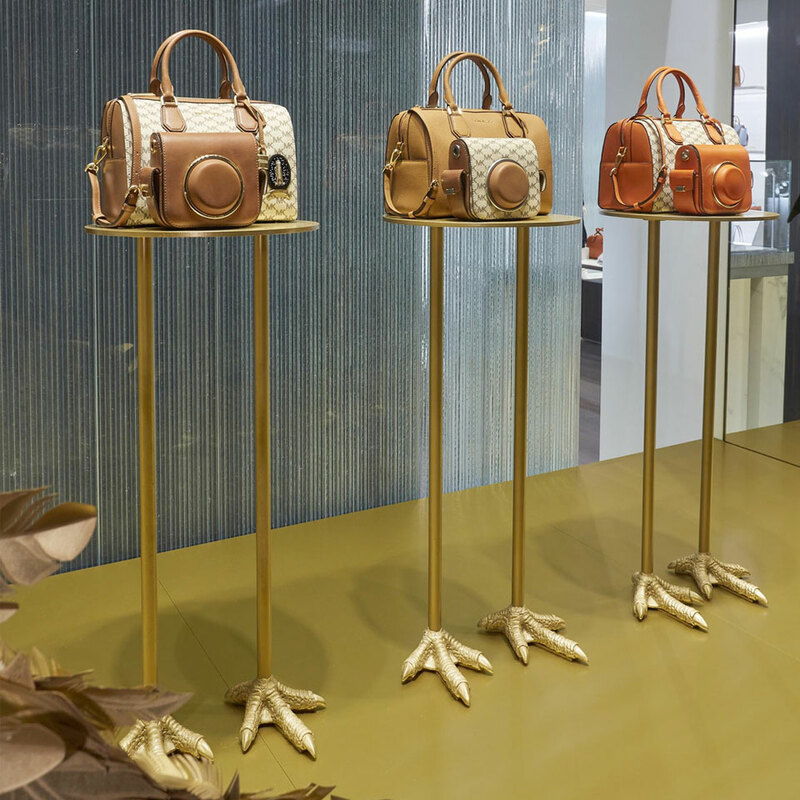 Displays included; laser cut, gold feathers sprayed and shaped individually by hand plus bespoke moulded, cast and sprayed Rooster feet product pedestals.